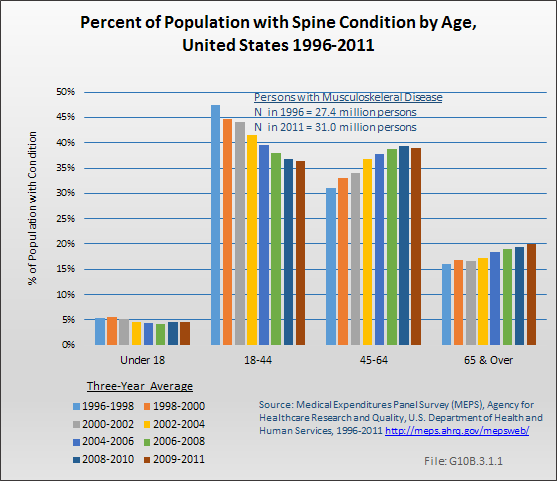 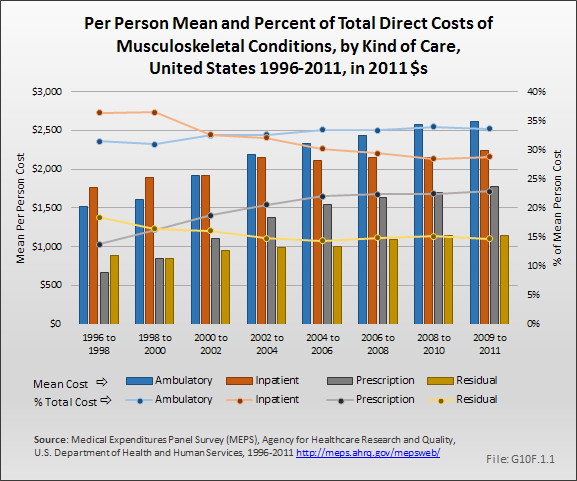 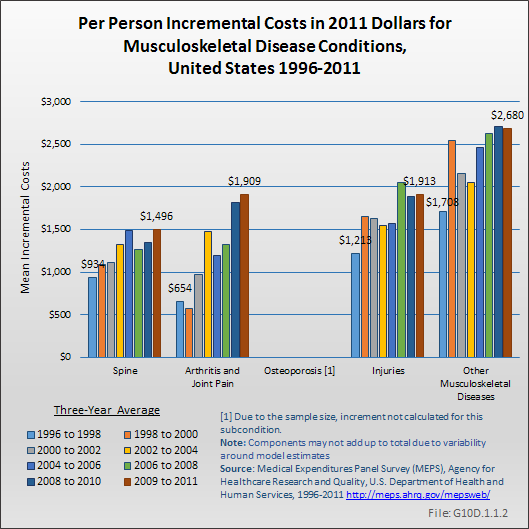 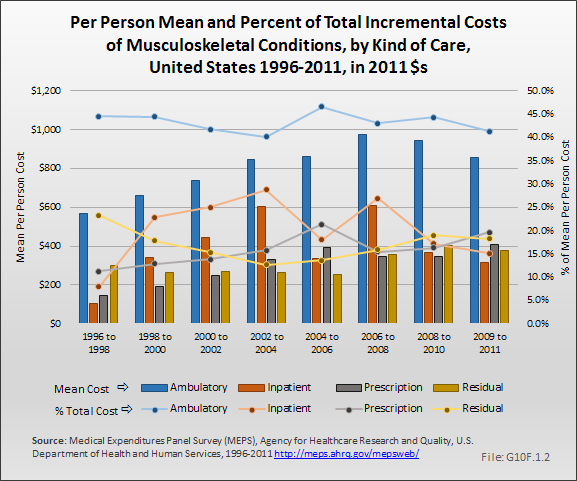 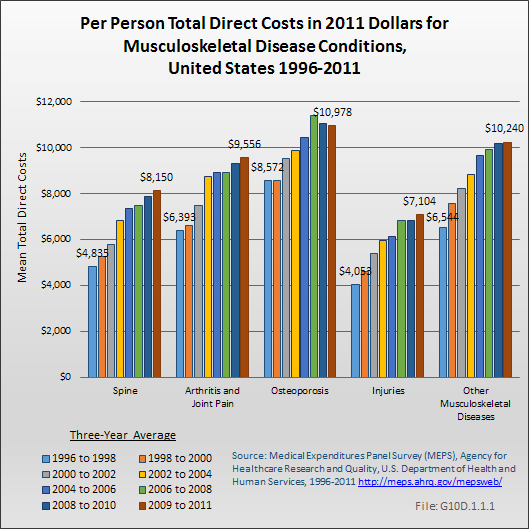 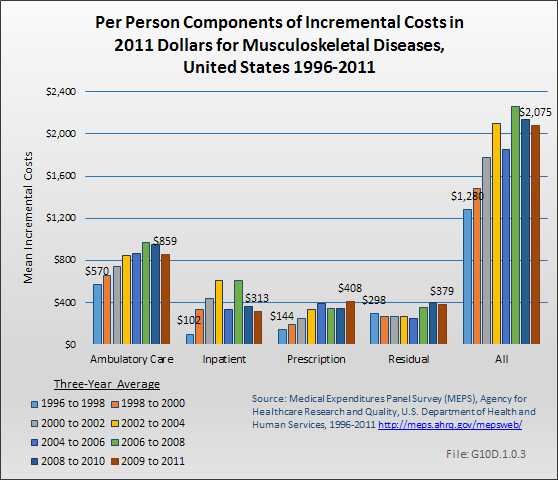 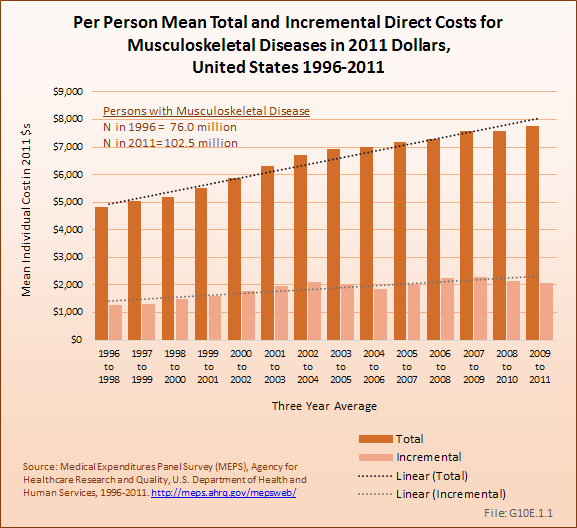 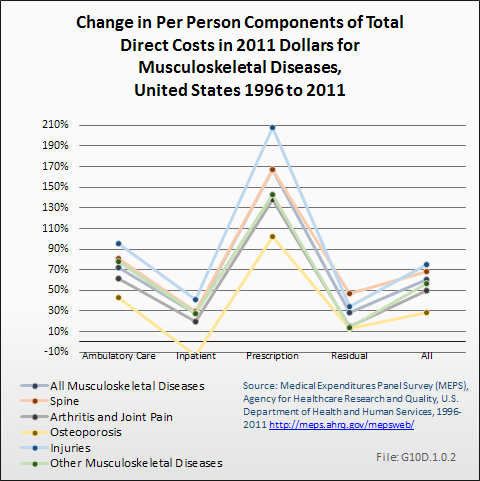 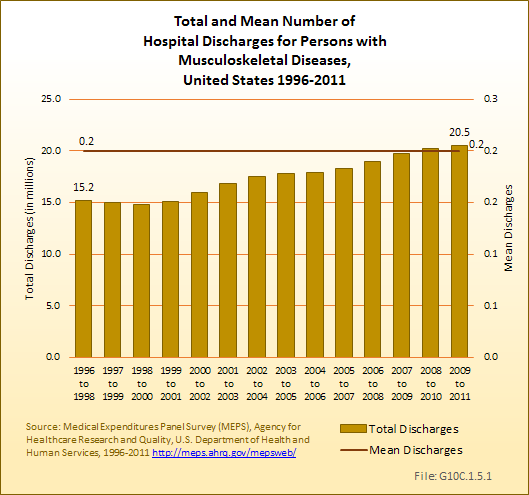 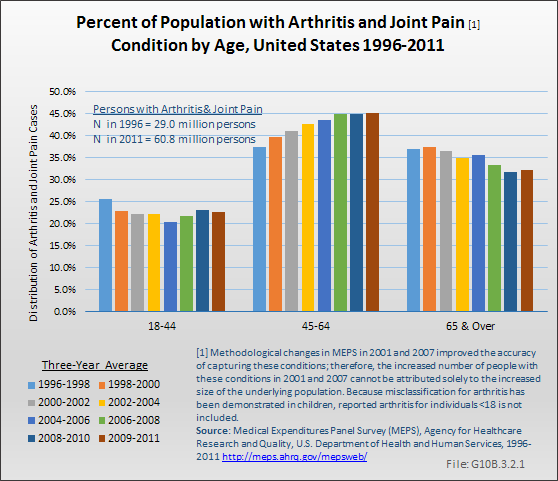 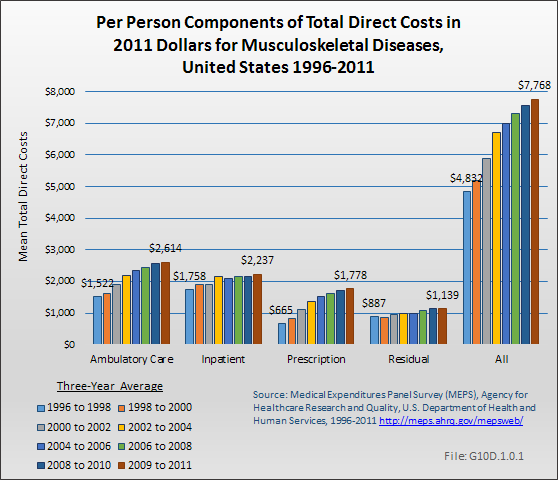 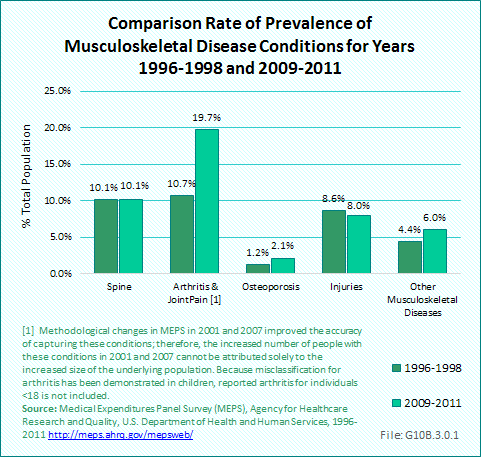 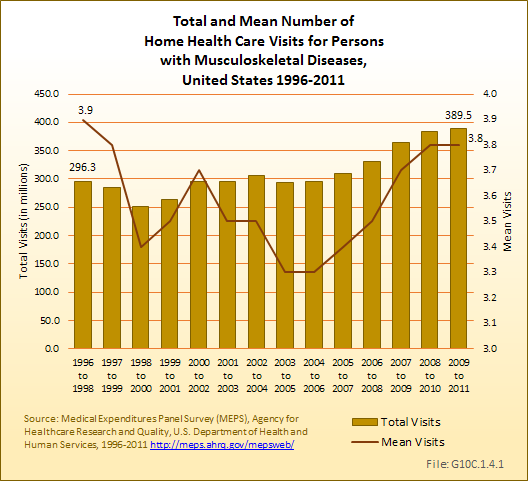 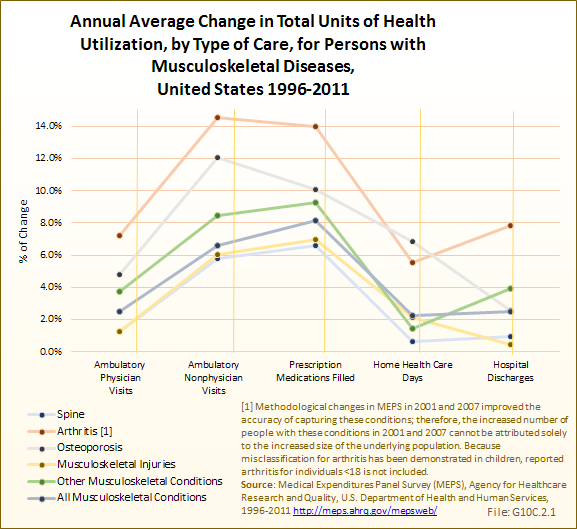 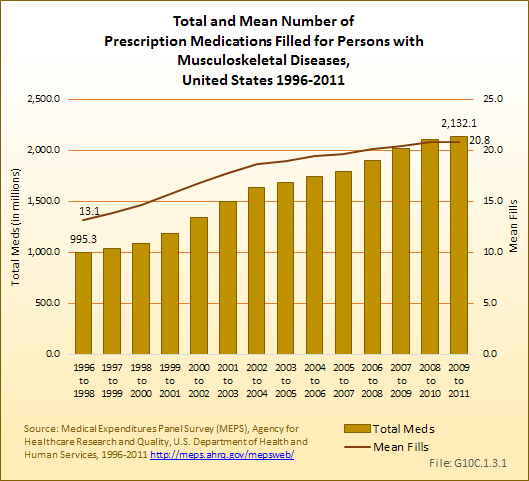 Using the more expansive definition of musculoskeletal diseases, in the period of 2009 to 2011, 87.7 million persons (versus 31.0 million using the more conservative definition) reported one or more spine conditions and 64.0 million (versus 60.8 million) reported arthritis and joint pain. 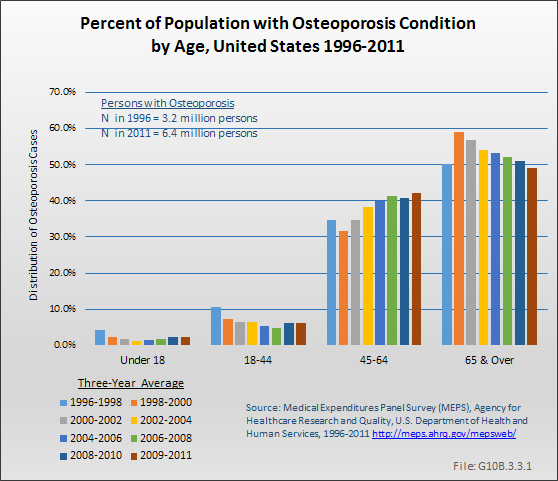 The base and expansive definitions for osteoporosis are identical, so the number of cases for both definitions are also identical, but substantially lower than reported in the Osteoporosis section of this report, as previously noted. 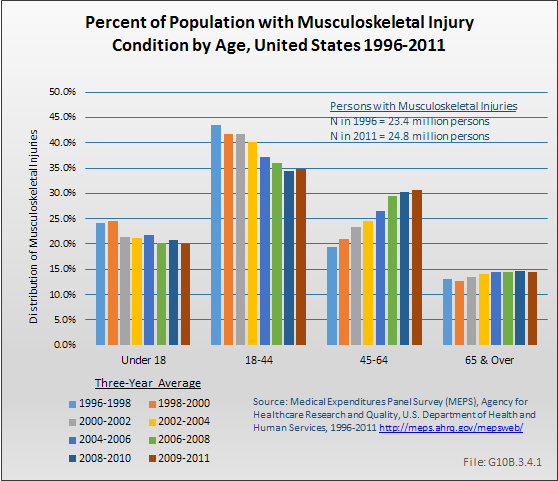 The number reporting musculoskeletal injuries was slightly higher than in the more conservative definition (28.3 versus 24.8 million). 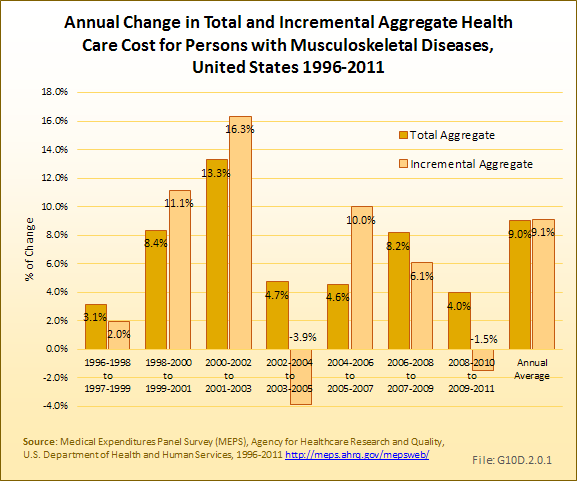 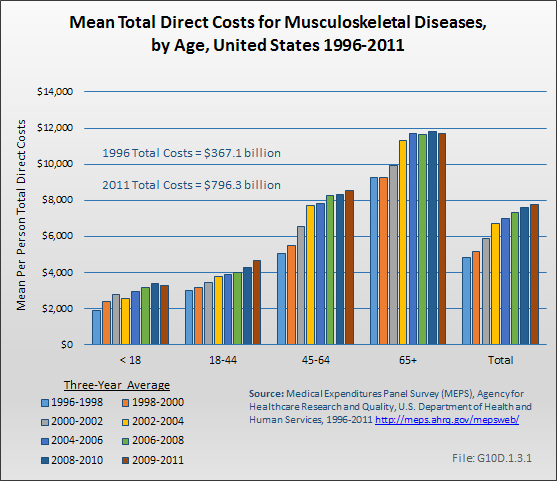 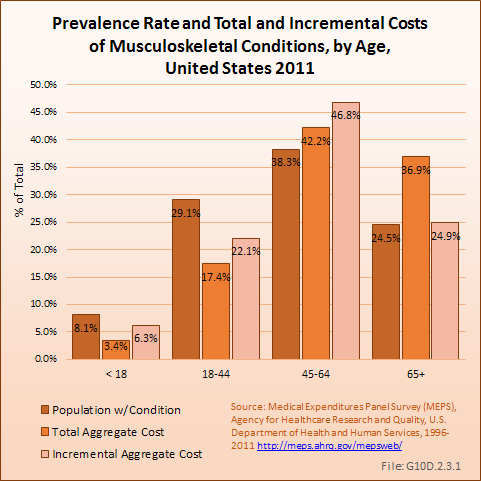 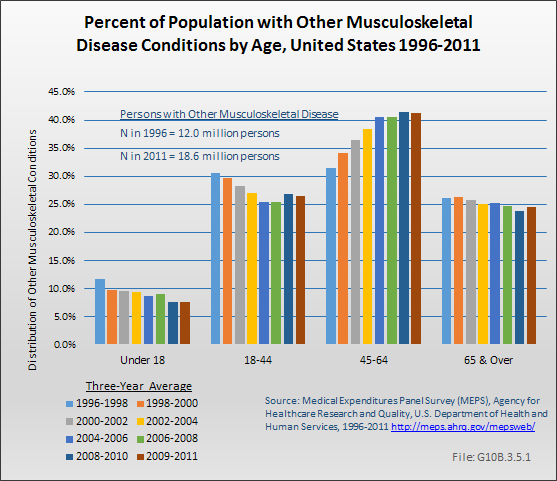 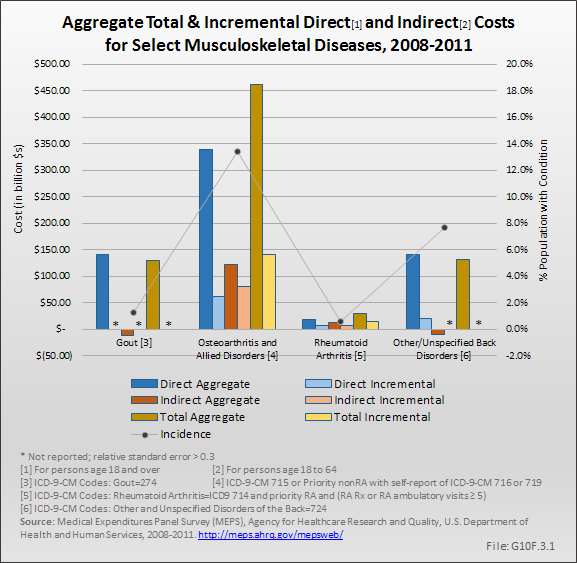 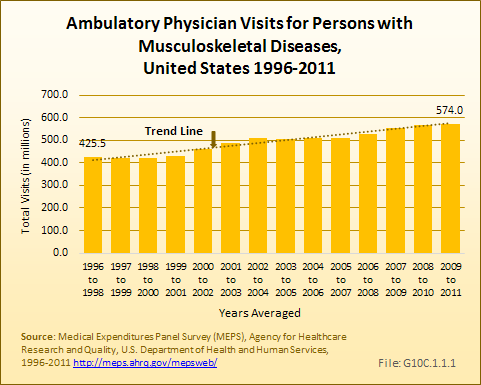 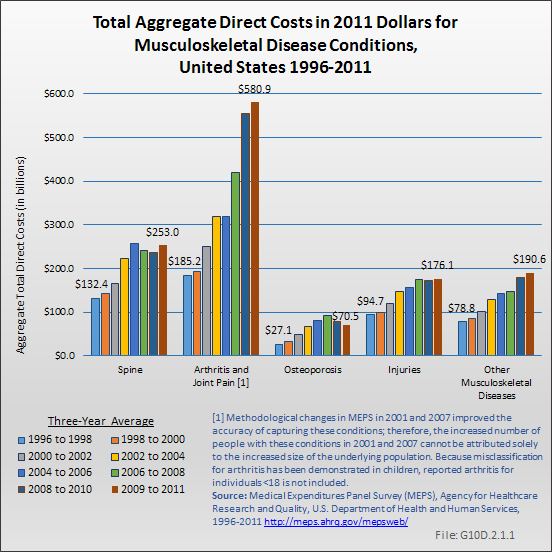 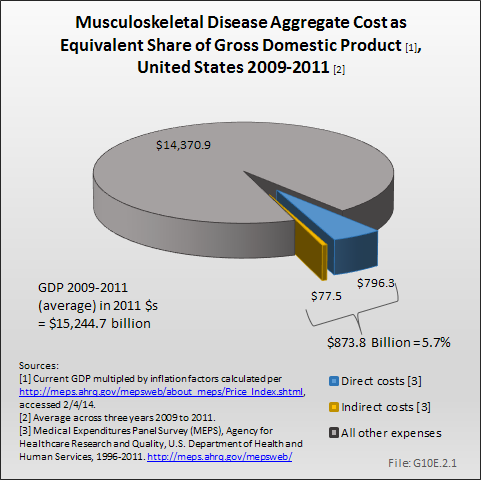 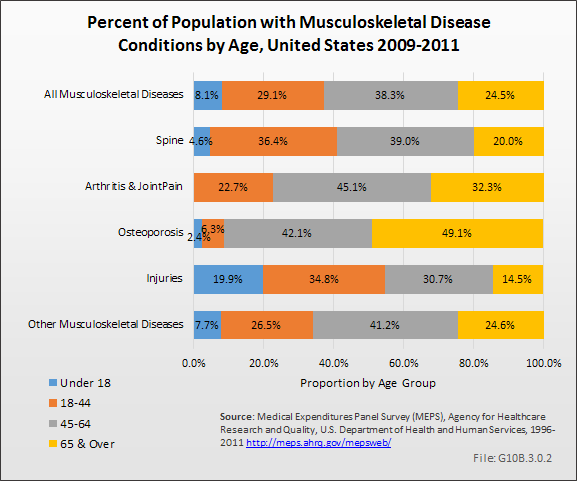 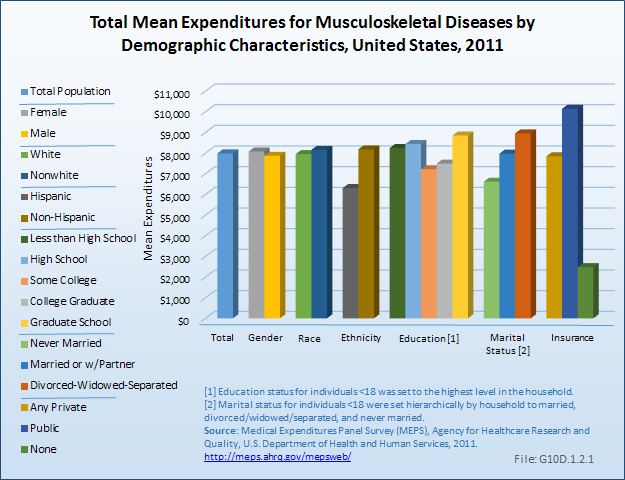 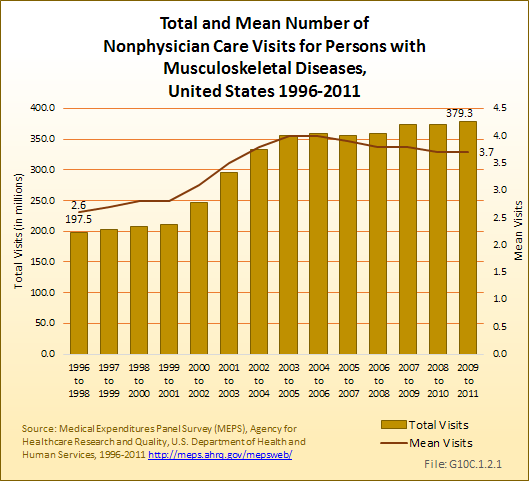 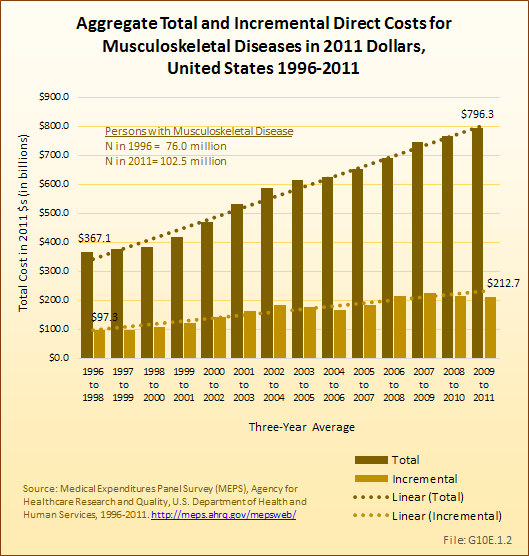 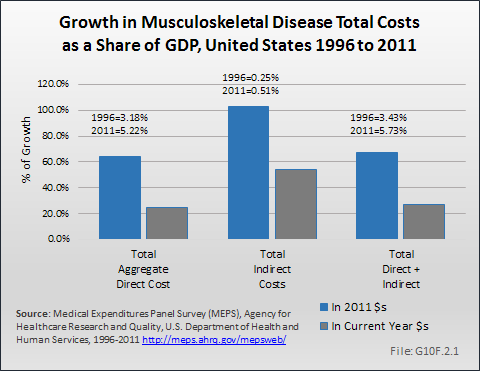 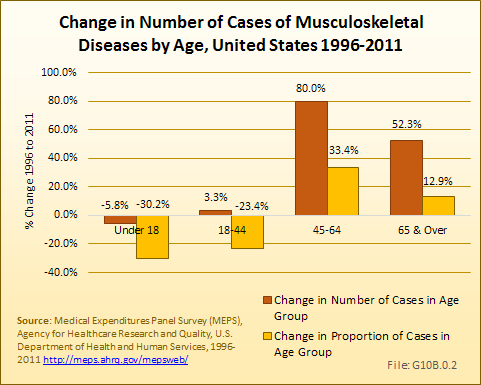 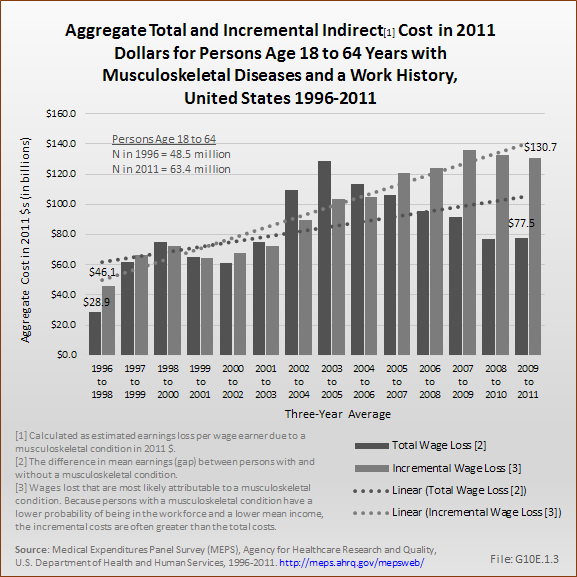 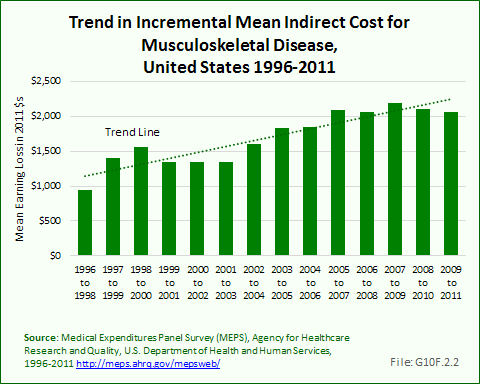 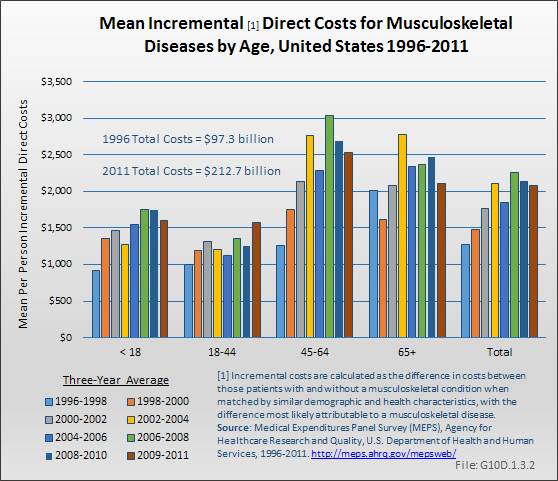 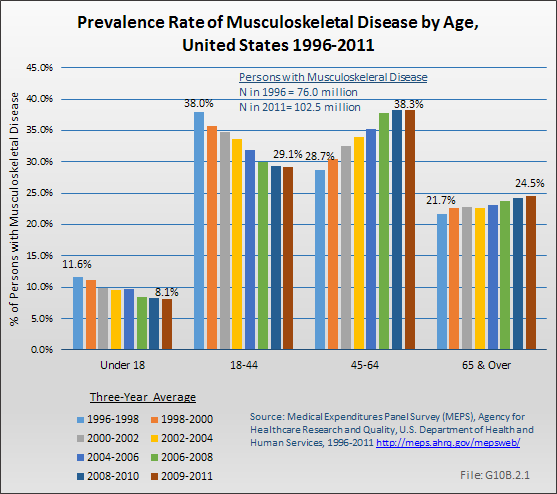 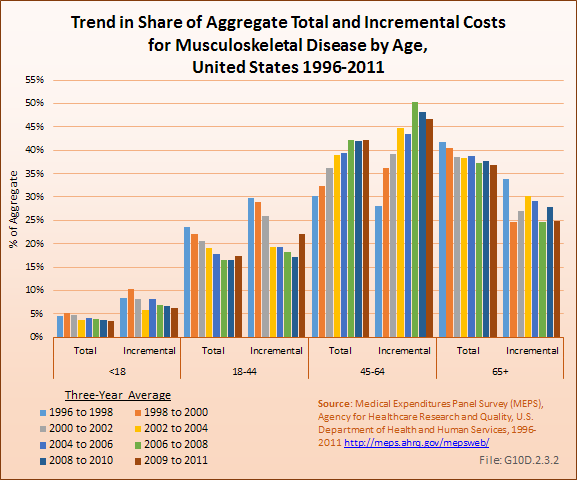 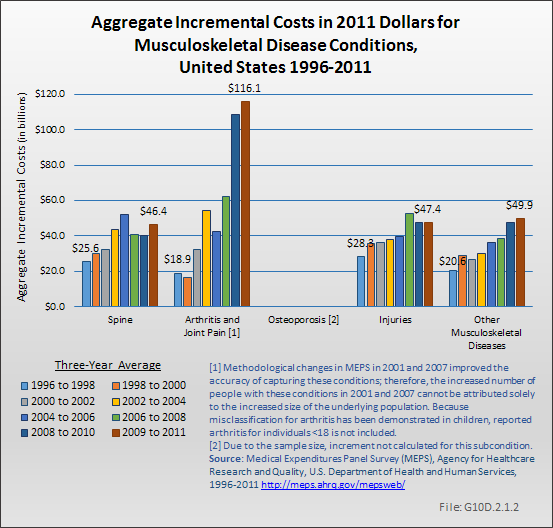 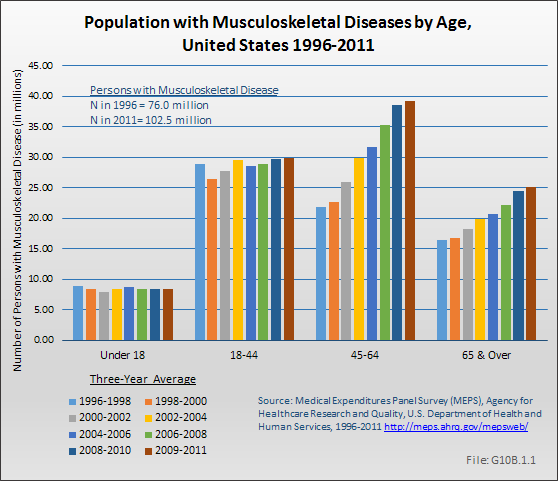 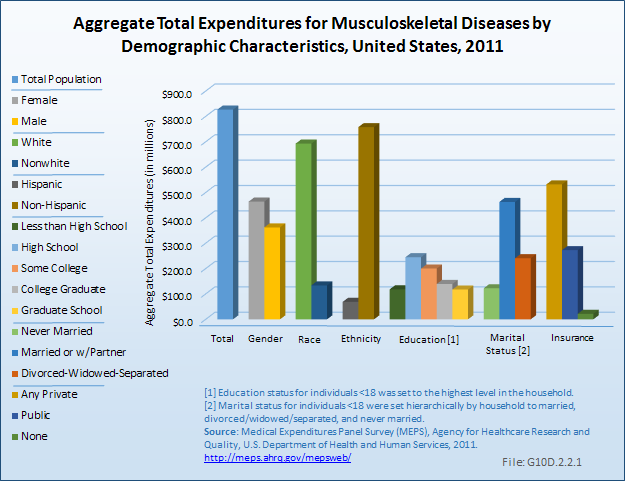 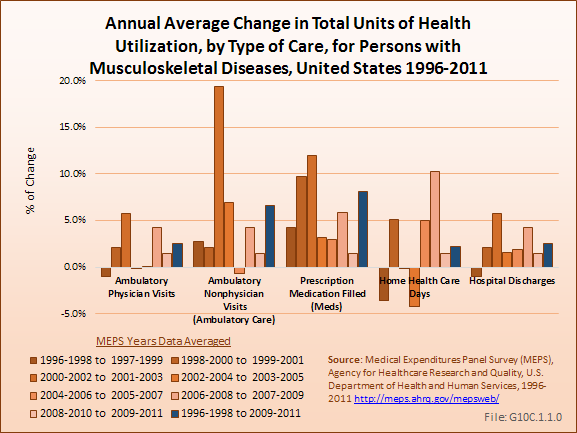 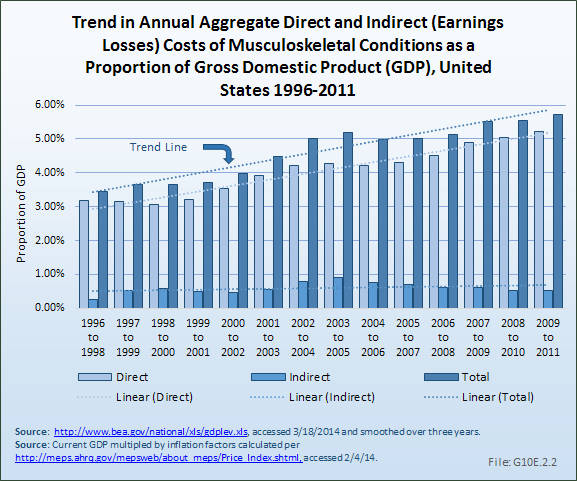 The increased prevalence in the “other” musculoskeletal diseases category was also substantial, with 71.0 million in the expansive definition versus 18.6 million, as discussed above.